Here's a gathering thread for all stuff LotR that's interesting or special in one way or another. "... he did not wish to disappoint diehard fans of the book trilogy." lol, so ten years later he is just like "f*ck it, I'm gonna make my own hobbit movies with Azog and giant worms"? Well, according to this unspecified magazine article that is not directly quoted, yes. You rather he'd added Blackjack and Hooters? Regarding Helm's Deep, I read that the scene of the arrival of the Elves was the most difficult one to shoot, choreographically speaking. they were shot, for example, some sequences about the Goblins chasing the Fellowship at night, entering Lothlórien and being killed by the Elves. Or some other footage, in which Elrond and Arwen go to Lothlórien to discuss about the war, and a dialogue between Arwen and Galadriel. I'M MAKING MY OWN LOTR TRILOGY! WITH BLACKJACK AND HOOTERS! just a bit of interesting trivia I've heard about the LotR trilogy. Originally, Arwen was supposed to go with the Elvish army to Helm's Deep and fight with Aragorn (I shudder to think of the love triangle we'd have been forced to sit through a great deal of in Return of the King). Less annoying would have been Sauron's battle with Aragorn at the Black Gate. Quite a departure from the books (but then again, so was the Elvish army at Helm's Deep, the Army of the Dead appearing at Pelennor Fields instead of Gondor's armies and the Evenstar - which is, apparently, a jewel from Aman that Olorin gave to Galadriel who had Celebrimbor forge it into what it is - shatter so easily, and other things), but it would have been interesting to see the battle. 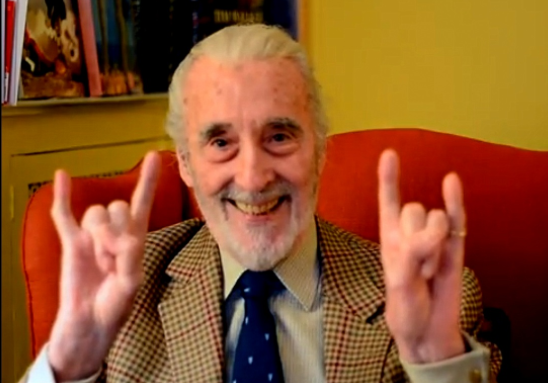 Todays Sir Christopher Lees 93rd birthday by the way. God bless this magnificent man stays with us for as many years as possible. Found this beautiful picture of a young Frodo with the best friend a Hobbit boy could have. One of the best alternative endings. Yes, very good. At some points i thought the next screen is "The End", everytime the story went on till the evil was finally defeated. Another fun/interesting fact: do you know that initially, for the role of Galadriel, PJ and the other Writers chose Lucy Lawless instead of Cate Blanchett? But I'm sure that we would have had a definitely fiercer and more warrior-type display of the Lady of Light. ''In time of ancient Valar, Dark Lords and Kings, an Elf in toil cried out for a Hero. 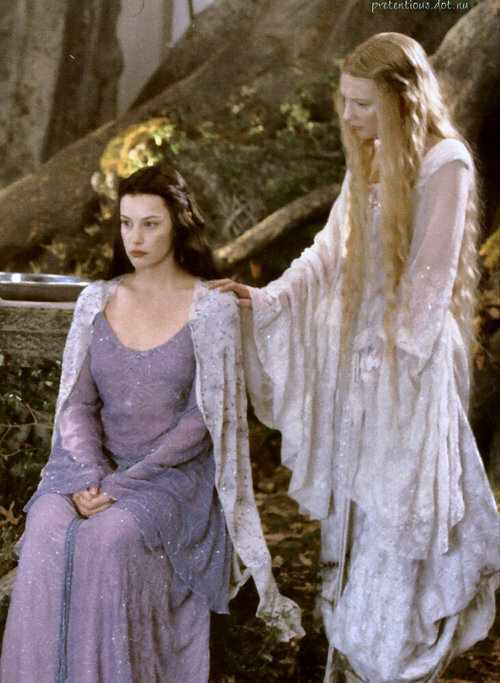 She was Galadriel, a mighty Noldorin Princess, forged in the heat of the War of the Jewels. Her Courage will change Arda''.